Just in time for the end of one year and the beginning of another, here are some thoughts on a few of the sparkling wines that have greatly impressed me over the past months. While there are beautiful examples from many locales, I’m going to discuss only two types in this post: Franciacorta and Champagne. While everyone knows Champagne, not that many people are familiar with Franciacorta. 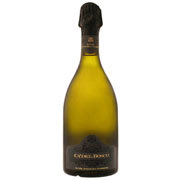 Produced from vineyards in Italy’s Lombardia region, this sparkler (bollicine in Italian) is produced in the same method as Champagne (known as the classic method), where the secondary fermentation takes place in the bottle and the wine spends several years on its own yeasts. This is a time-consuming and costly procedure, but it clearly is the finest approach to producing the most flavorful and complex sparkling wines. Franciacorta wines are also quite special as only three grapes are used: Chardonnay and Pinot Nero (Pinot Noir) that are also used in the production of Champagne, along with Pinot Bianco (Pinot Meunier, a red grape, is used in Champagne). These varieties are used as they are cool climate varieties that have excellent natural acidity, a necessary component of a balanced and vibrant sparkling wine. While I don’t have access to as many of the top Franciacorta estates here in America as I would like, I do get to taste the offerings of two of the finest producers: Bellavista and Ca’ del Bosco. The wines of Bellavista are quite subdued and graceful; the 2004 Gran Cuvée Rosé Brut ($76), a blend of roughly equal parts Chardonnay and Pinot Nero, is a beautiful statement of this style. Medium-full with aromatics of strawberry, pear and dried cherry, this is quite delicious with excellent complexity and a long, satisfying finish. I know that some wine drinkers don’t like too sharp or acidic a finish; if you are in that school, you will love the elegance of this wine, which pairs with a wide variety of foods, from seafood to lighter meats (I tried this with monkfish is mushroom sauce and it was a great match!). The 2001 Annamaria Clementi bottling from Ca’ del Bosco ($100) is a very different style of sparkling wine and is certainly one of the finest I’ve ever tasted from Italy. Full-bodied with outstanding concentration, this has intense aromas of golden apples, biscuit and dried pear that are backed by a long finish with excellent acidity. This is a powerful Franciacorta with amazing complexity and richness; qualitywise, I could stack this up against a lot of Champagnes that are priced $20-30 higher. This is gorgeous now, but given the concentration and balance of this wine, I expect this to drink well for another 3-5 years. Pair this with shrimp, crab or lobster or even veal or roast chicken or pork. I’ve tasted so many impressive Champagnes lately, so I’ll need to be brief with my descriptions. Pol Roger has a no-dosage cuvée called “Pure” ($60, non-vintage) that is as nicely balanced as any of this style that I’ve tasted. I normally am not a fan of no dosage (or natural) Champagnes, as they seem to lack richness in the finish, but not this one; this is very flavorful and has classic Champagne structure. I loved this with simple take-out Chinese food (hey, we’re all watching our pocketbook, aren’t we? ), but this also works beautifully with white meats and lighter game. 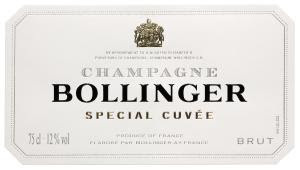 The Bollinger Special Cuvée ($70, non-vintage) is a Champagne I hadn’t tasted in years, so I was delighted to become accustomed to its charms again. Quite rich on the palate, this is a powerful, very dry Champagne that I can best describe as being old-fashioned (in the best sense of that term). This is Champagne as I love it; interestingly this is vinified in used oak barrels inseatd of stainless steel as with most Champagnes. Pair this with a variety of foods ranging from flavorful fresh water fish (trout) or Asian cuisine. I’m also a big fan of Rosé Champagnes, especially as I find myself pairing this style of sparkling wine more often with food. The house of Nicolas Feuillatte is a Rosé specialist and while the luxury offering known as Palmes d’Or (in a stunning bottle) is one of the most amazing bottlings from anywhere in Champagne, this is an extremely limited find. Go with the more widely available non-vintage Rosé ($50), which is a superb value. This has a beautiful bright strawberry color with lovely strawberry and currant aromas, deep concentration and a long finish. This is one of my textbook examples of what a Rosé Champange is all about. Finally, the non-vintage Laurent-Perrier Cuvée Rosé Brut ($100) is, in a word, classy! This is an elegantly styled Rosé that is delicious with so many types of food, from oysters to suckling pig (see previous post). Copper-pink in color, this is all about fresh raspberries and cherries and while this is rich enough to stand up to just about any food, the key descriptor here is finesse. This combination of power and elegance makes this wine – as well as the finest sparkling wines – a great choice for a meal at this festive time of the year – or any time! I have a love affair with Sauvignon Blanc from Chile, so when I hear about a new release that looks intriguing, I have to try it. So when Margaret Snook profiled the Casa Silva Cool Coast Sauvignon Blanc in her blog recently, I was determined to find this wine. Fortunately for me, the importer of this wine – Vin diVino – is about a five minute’s walk from my home, so I was able to get a sample bottle, as the wine had just arrived a day or two earlier. I tried the wine this week and can tell you it is worth the early raves. Brilliant straw with a slight youthful effervesence. Room-filling aromas of grapefruit, lime and pear zest. Medium-full with excellent concentration. Richly textured with great persistence of fruit, vibrant, lip-smacking acidity and outstanding texture. Superb varietal character. So appealing now, but should drink well for 3-5 years. Simply put, this is an outstanding Sauvignon Blanc that is among the three or four best I have ever tried from Chile. How exciting that another new zone in Chile has emerged for extraordinary cool climate Sauvignon Blanc. This has been one of the major developments in the wine industry over the past five or six years and if you haven’t tried a Sauvignon Blanc from a producer such as Casa Marin, Leyda, Matetic (EQ) Amayna or now Casa Silva with their Cool Coast bottling, you need to find these wines and discover what all the excitement is about! The 2009 Casa Silva Cool Coast Sauvignon Blanc will be available on a limited basis in a few US markets. Suggested retail will be a very reasonable $22 per bottle. If I were reviewing the PBS TV series “The Winemakers” as a wine, I’d give it two stars out of five, meaning it’s passable, but I’d hardly recommend that anyone go out of their way to find it. At the outset, let me say that I think a reality series on winemaking is a bit silly. But given the identity of reality series these days, this idea is not as silly as most and truthfully, this one had a bit more dignity to it than most. The series is either running on a PBS station in your area now or had just completed its run. This past weekend, the local PBS station in my hometown of Chicago ran all six episodes back to back, so I thought I’d watch and see how this would take shape. 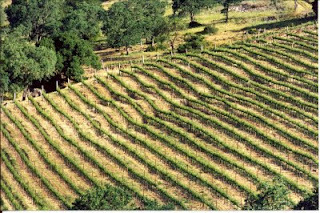 Twelve contestants – six men and six women – were selected for this competition which took place largely in Paso Robles wine country (fittingly, the Paso Robles Wine Country Alliance was one of the sponsors of the series). Most of these contestants were in their 30s with a few a touch younger or older. Some were in the wine business already, while others were not. Now a program called "The Winemakers" would make you think that the contestants would spend a lot of time in the winemaking process. The initial show was certainly a nice introduction to this subject, from harvesting grapes to taking those grapes into the winery and then crushing them. Watching these would-be enologists try and handle pumps and hoses was entertaining to say the least. The problem for me with this series is that winemaking became almost secondary as the contestants were submitted to different challenges throughout the series. These ranged from pouring wines at a wine bar and discussing the qualities of those wines with the public to creating a label for their own wine as well as a business plan for selling their wine in the marketplace. The contestants who did not perform well at a particular challenge were eliminated from the competition; this was done until one winner was chosen from the final three participants. Some of the challenges were quite good, especially the one in which the participants had to purchase wines to accompany a special dinner. God knows how much I have preached about wine and food being natural partners, so it was nice to see this point being covered in the series. Other challenges, especially the one where the contestants, organized into teams, had to create a table top presentation on a wine of their choosing - be it Champagne, Rioja or whatever - were dull and had little to do with anything. My major problem with this series was that winemaking wasn’t that big a part of the overall presenatation. Maybe the producers thought that viewers would be bored by shots of the contestants in the cellar, but the series is called “The Winemakers” after all. And now many programs today, be they on cooking or carpentry, get quite detailed on the how-to of their topics? I would have liked to see more winemaking. Also, during one program, the judges asked wine questions of several contestants to find out which of them they could eliminate. Some of the questions were rather difficult and trivial, in my opinion. Yes, it helps if a winemaker has a working knowledge of wine, but do they really need to know the appellations in France’s Loire Valley where Cabernet Franc is the principal red variety? One of the questions was about the three varieties used to produce Cava. There must be hundreds of talented winemakers in California who have no idea what the answer to this question is. In fact, is it important to know this answer, except as a piece of trivia? The answer is no. If you are a retailer selling a bottle of Cava to a consumer or a wine salesperson trying to sell Cava to an account, I’d have to think that this topic will probably never come up. I know, as I spent several years both as a retailer and salesman. In fact, having questions like this is something that drives me crazy, not only on this show, but also for sommelier exams. I understand that knowledge is power and people going into the wine industry need to have a good foundation, but enough is enough sometime. If you want to sell a bottle of Franciacorta, Italy’s great sparkling wine made in the classical method, it is important to know the varieties used. That’s because these grapes – Chardonnay, Pinot Nero (pinot noir) and Pinot Bianco - are used in other great sparkling wines (the first two used in Champagne). So there’s a way of comparing the flavors (and arguably qualities) of Franciacorta with Champagne, the sparkling wine everyone knows. But to worry about the varieties of Cava, well, I’m sorry, but that borders on being a bit geeky. I almost felt a little bit sorry for the contestants that were eliminated via the wine knowledge questions, especially as they probably believed going in that they were being judged on their winemaking prowess. Finally, the show fell into the clichés of so many other reality series these days. You know the drill by now, as there is a line that is delivered to send a contestant off. In one episode set in a winery cave, the contestant sent home was told, “Please leave the cave.” How creative! 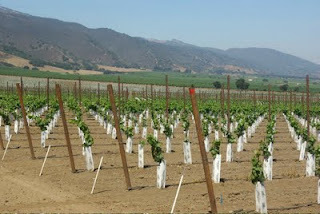 An even worse example took place during one of the later episodes, when the final four contestants were outside a winery standing in front of a beautifully manicured hillside vineyard. As three contestants learned that they were moving on to the next challenge, the one sent packing was told, “Please leave the vineyard.” I almost gagged, except I was too busy laughing. “Please leave the vineyard?” Why? Was this guy trespassing? Did he steal a barrel from the cellar? Did he call someone a bad name? Honestly, what a dumb line! As I said earlier, this wasn’t as mind-numbing as some reality shows out there, but it could have been a lot more focused. I understand that a second season for this series is in the works. Let’s hope they filter and fine the rough edges, to use winemaking terms.